Nel post di oggi trovi una manicure diversa dal solito, l'ho creata su richiesta della signora Heather Von St.James che in America sta facendo una campagna per il mesotelioma, un tumore raro e aggressivo che ha origine dal mesotelio ed è associato all'esposizione all'amianto. E' un tumore subdolo che si sviluppa dopo 20 o anche 40 anni essere stati esposti alle polveri di amianto, trovi le informazioni su questo tumore a questo link. In Italia ci sono ogni anno 4000 morti per il mesotelioma, nel nostro paese l'amianto è stato messo al bando dal 1992 ma fino ad allora l'amianto era ovunque perchè usato nelle coperture degli edifici ed oggi la bonifica è lenta e difficoltosa. Io stessa ho avuto in famiglia un lutto causato da questo tumore. Uno dei modi per portare all'attenzione del pubblico questa campagna è indossare il color perla, così sotto l'hashtag #pearlylungs #healthylungs alcune blogger e instagrammer stanno postando manicure perlate. 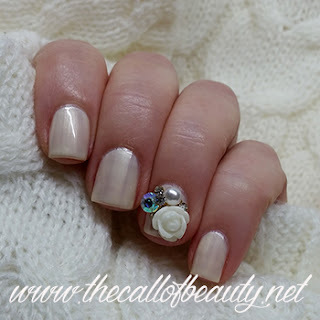 Ho realizzato la mia manicure con lo smalto Revlon Parfumerie Fresh Linen e un charm con una rosa e una perla, a volte il blog e la nail art può essere un modo per veicolare informazioni e smuovere coscienze. Grazie ad Heather per aver portato alla mia attenzione questo problema e a tutte le ragazze che diffonderanno questa campagna. Meet Heather Von St. James. As she approaches her 10 year anniversary of being cancer free after having her left lung removed, she reached out and asked to help spread the word about bringing awareness towards the very preventable disease of mesothelioma. A rare form of cancer, mesothelioma occurs in the thin lining of the body's internal organs and in roughly 70% of all cases, is found in the pleural lining of the lungs. 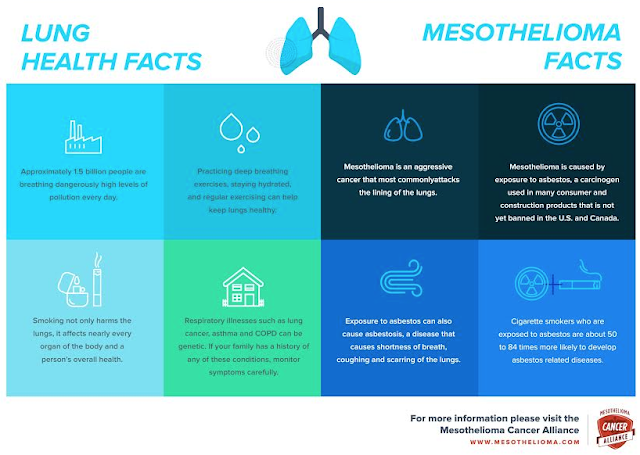 Approximately 3,000 people are diagnosed with mesothelioma each year in the US alone and while early detection leads to higher rates of remission, the US suffers 2,500 mesothelioma-based deaths a year. First of all, understand that 80% of all mesothelioma cases can be attributed to asbestos exposure. Shockingly, neither the US nor Canada have any such bans on asbestos exposure which put as estimated 20 million people in the US at risk for developing this disease. Given that the latency period between the first exposure to asbestos and developing mesothelioma is typically between 20 to 40 years, this is truly a long term problem affecting many people at potentially the weakest times in their lives. In addition to educating ourselves of the laws in our own backyard, we can also educate ourselves on our own body health. While focused on our lung health, we can also "double dip"; there are many charities that both give back while helping us keep our lungs healthy in the process. For example, with Miles for Meso, you can can sponsor and partake in charitable 5Ks with proceeds going to the Mesothelioma Applied Research Foundation. There are simply so many options for us when attempting to spread lung health awareness! 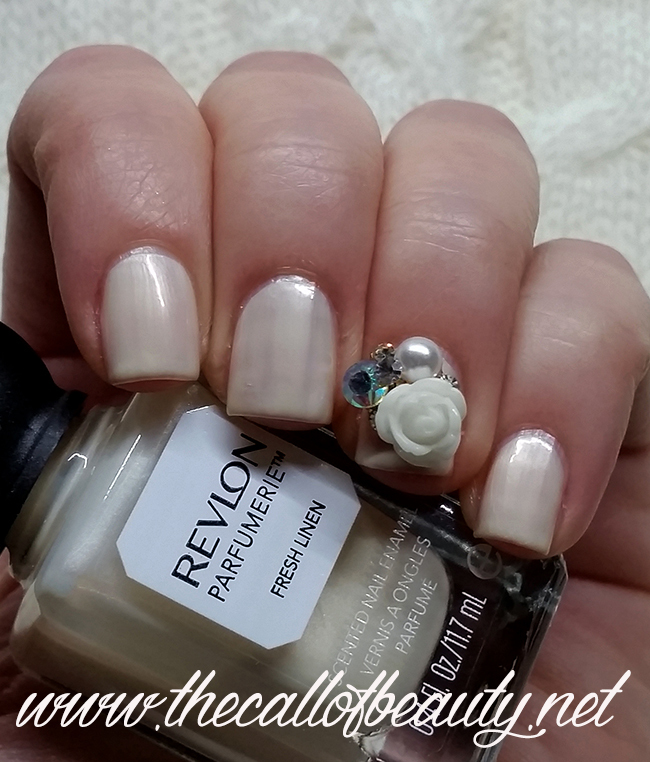 I did my manicure with Revlon Parfumerie Fresh Linen and a rose/pearl charm. Thank to Heather for bringing this disease to my attention and to everyone sharing this awareness campaign. Really nice post bringing awareness to Lung Cancer. In my Italian post I talk about my relative that died for mesothelioma, in Italy asbestos is banned but we are plenty of sites with this material and it's dangerous for people working in chemical company as my relative was.